There's no place quite like the Dominican Republic. 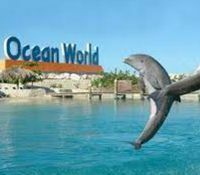 Ocean World in Puerto Plaza is located about three miles to the west of the town on the North Coast of the Dominican Republic. If you want a once-in-a-lifetime experience on your Caribbean holiday, then look no further than the Ocean World Adventure Park, Marina and Casino. This amazing entertainment complex has been attracting thousands of visitors every year from all over the world ever since its inception. In the Dolphin Swim Program, you receive the unique opportunity for playful, educational interaction with these wonderful animals. Your program begins with a fun orientation, briefly covering the natural history of dolphins and animal training techniques. Once you are in your lifejacket, experience the joy of a dolphin kiss and fall in love with their gentleness as you hug a dolphin in your arms. 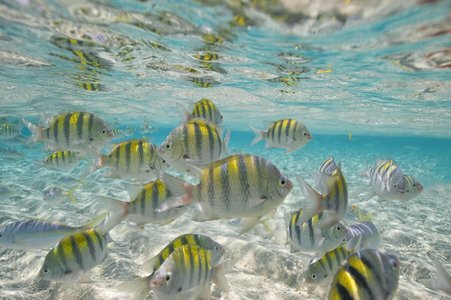 This amazing marine park opened its doors in March, 2004 and has become one of the must-see attractions in the Dominican Republic. The Ocean World Puerto Plata complex is the first of its kind within the Caribbean region to offer visitors a beautiful marina and park, plus an outstanding facility with bars, restaurants and a theatre with a casino, disco lounge and live dance show. Ocean World Marine Park offers more than a place to observe wild life, as it will give you a chance to interact with dolphins, sharks, sea lions, stingrays and exotic tropical birds; explore a tropical forest; meet majestic tigers as well as enjoy a pool and enclosed beach area. Today, there are just a few of these facilities worldwide, but none offer the all-inclusive experience that you will enjoy at Ocean World. The Adventure Park has the largest dolphin habitat and pools in the world and provides 52 daily scheduled events. You will find several attractions at this ocean park that are not available anywhere else. In the Dolphin Swim Program, you receive the unique opportunity for playful, educational interaction with these wonderful animals. Your program begins with a fun orientation, briefly covering the natural history of dolphins and animal training techniques. Once you are in your lifejacket, experience the joy of a dolphin kiss and fall in love with their gentleness as you hug a dolphin in your arms. Ocean World Marina is next to the marine park and is currently the only full service facility between the Bahamas/Florida and the Eastern Caribbean/Puerto Rico regions. This state-of-the-art marina sits on 35 acres and boasts 104 wet slips, so it can easily house vessels up to 250 feet. All the slips are serviced with electricity, R/O potable water, internet access, TV, telephone and 24 hour security. The facility also features more than 200 dry rack storage slips with roofs for vessels with lengths of up to 35 feet. There are other onsite services which include showers and laundry, liquor/food delivery, weather & car rental services, crew amenities, a marina store and shops. Ocean World Casino is next to the marina and stands as a spectacular landmark four-story building. This aquatic themed casino features amazing mosaics of dolphins, whales and tropical fish. You can expect a different experience on each floor as the building features gaming, live music, five-star dining, cocktail lounges, breathtaking ocean views and an exotic Bravissimo Show, which is a Las Vegas inspired dance show with a bit of a tropical flair. When planning your next trip to the Caribbean, Ocean World in Puerto Plata, Dominican Republic must be number one on your list. Take advantage of the opportunity to create lasting memories on a tropical island. Whether you want to feed the stingrays, swim with the dolphins, cuddle a seven-foot shark or enjoy breathtaking ocean views, Ocean World offers all this and much more! 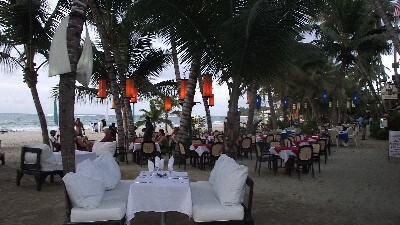 Cabarete is a cool and hip coastal village located just 10 minutes east of Sosua. The village is known as the world?s kite-boarding and wind-sporting capital due to its warm waters and perfect winds for water sports. Cabarete is very popular among the young and adventurous because of the aquatic sports offered on its beach, its famous annual jazz festival each fall and its eclectic bars, cafes, restaurants and shops. The best diving on the North Coast of the island takes a little time getting to. There are a number of shallow water reef systems, however in Sosua, about 20 minutes from Puerto Plata, you will find reefs, canyons, shipwrecks, and gardens. Average water temperatures are about 80 degrees, and dive depths are usually 50 to 130 feet. The North Coast tossed this Spanish galleon into the Silver Banks about 60 nautical miles from Puerto Plata. The ship carried a cargo of freshly minted silver coins. An American with British support recovered about 69,000 pounds of it in 1689. It was not until 1979 that an American teamed up with the Dominican government to recover tons of silver that remained (they split the findings 50/50). 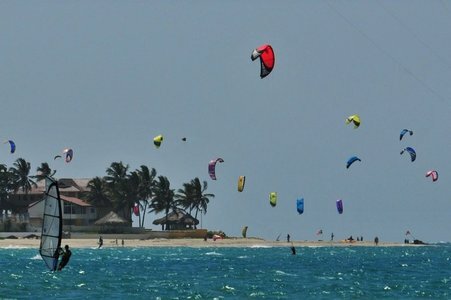 Cabarete also hosts the World Kiteboarding Championships every year. The area is well known as a world class kiteboarding destination and has been ranked as the world's best. The natural conditions make Cabarete a preferred beach by kitesurfers the world over. Several kiteboarding schools are located right on the beach for those who want to perfect their skills or take up this extreme sport. One of the biggest sports on the North Coast is windsurfing. The major windsurfing spot is Cabarete, and there are more than a dozen specialty shops renting boards, with prices being about the same each. The price is about US$20-30 per hour, with lessons available. These establishments also offer equipment storage for a set fee.